I am delighted to announce that my book, titled Business and Human Rights. 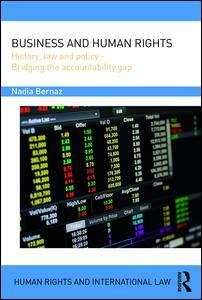 History, Law and Policy – Bridging the Accountability Gap, and published by Routledge is finally out. It is available both in hardback and paperback. A book launch will take place on 7 December 2016 at 6:00pm at Middlesex University in London and I will soon post more information about the event.